1. I'm afraid of spiders. Not just the big ones, I'm also scared of the tiniest ones. I always freak out when I see a spider, so at that time is not good to be around me. 2. I'm the biggest movie lover. I watch everything, from comedies to horror movies. That's is why I can't wait to see the Oscars this year. 3. The first thing I do in a foreign country is to go to Starbucks. Literally the first thing I see is coffee :) It's because we don't have Starbucks here, and that makes me so sad. 4. I'm obsessed with Primark. Every time I go to England is Primark the place where I spend most of my time (or River Island). 5. I hate yellow and orange colour. I always have and always will. Just not my cup of tea. Sorry. 6. I used to hate military style until this season. And now I literally wear it every week. 7. My guilty pleasure: One direction. I have to confess, I just love them. They are adorable and their songs always get me in a better mood. So this is it, hope you liked it. 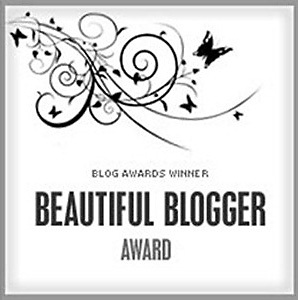 having an award means that bloggers are recognizing your existence in blog. that's overwhelming for me. congratulations! Thanks Sweety! Following you too! Gracias por tu comentario y visita a mi blog. Hi! Thanks for visit my blog .Of course I follow you and invite you to visit my blog! thank You for your nice comment :-) Great Blog and yes i would like to follow each other! Thank you for your nice comment. I'm your newest follower right now. I hope you follow back.